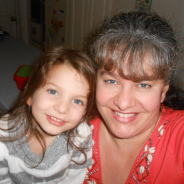 I am a Christian home school mother of 5.My husband is a preacher and i am a volunteer counselor at an outreach ministry in my town.I love the Lord,he has blessed my life in many ways. I love graphic designing and am enjoying all the new things i am and have learned about it,at one time i only made signature tags for my online friends to use in their replys and would love to still do that.I have made a few layouts in the past,would really love to try it again. I am learning and continue to learn this world of digital scrapping.